If you're dealing with osteoporosis, you may be wondering what options are available for you to improve your condition. Luckily, there are many osteoporosis medications available, and there are several options so that you and your doctor can decide on the best treatment for you. Keep reading to learn more about seven common medications for osteoporosis. The most common medical treatment for osteoporosis is a class of drugs called bisphosphonates. These medications work mostly by preventing resorption, which is the process of bone loss caused by the body breaking down old bone. These drugs commonly have minor side effects like nausea, heartburn, and stomachache, but the chances of these side effect can be reduced by taking the medication in the morning before eating. This drug is administered by daily injections, which you will learn to do yourself if prescribed this medication for osteoporosis. It is especially useful for those with a high risk of fractures, and is not usually the first choice for patients with lower risk of bone breakages. Like bisphosphonates, calcitonin can slow down bone loss, but it is generally less effective than the bisphosphonates. However, it can be prescribed as a medication for osteoporosis because it can diminish pain after a fracture. Another representative - a medication that reduces bone loss - raloxifene can help reduce the risk of spine fractures, but it is not useful for fractures in other bones. Because spinal fractures can be one of the most serious complications of osteoporosis, it is still a commonly prescribed medicine for osteoporosis. Denosumab is an osteoporosis medication that can help to increase bone density by stopping bone loss, similar to bisphosphonates. However, this medication tends to be stronger than bisphosphonates and can increase bone density even more than many other medications. It is not a first choice of treatment because it is not often needed until patients have severe bone loss. This is the only anabolic drug approved by the FDA for treating osteoporosis. As an anabolic drug, teriparatide can actually help the body make new bone to improve the strength and density of the bones. 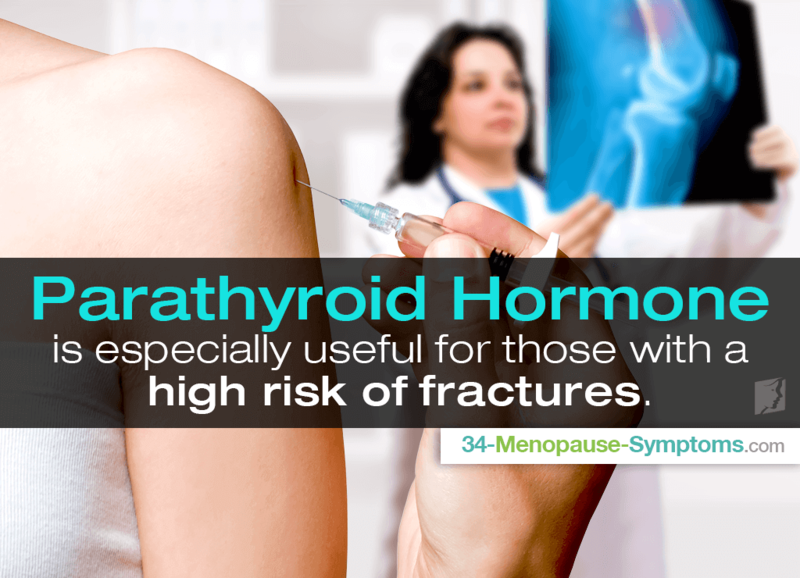 It is administered as a daily injection, and it is also a drug usually reserved for more severe cases of osteoporosis. For some women, taking estrogen or HRT may be an excellent way to repair bone loss due to low estrogen levels. However, due to the risks associated with HRT - such as blood clots, heart disease, and breast cancer - it may not be right for many women. With these common osteoporosis medications, you and your doctor will be able to formulate the right treatment plan to help manage your disease and improve your bone strength. Learn more about treating weak bones with yoga. Learn about some of the best plants and herbs for osteoporosis as well as various treatment options for this debilitating health condition here.